Few American troops had been sent to Vietnam prior to the Gulf of Tonkin Incident. 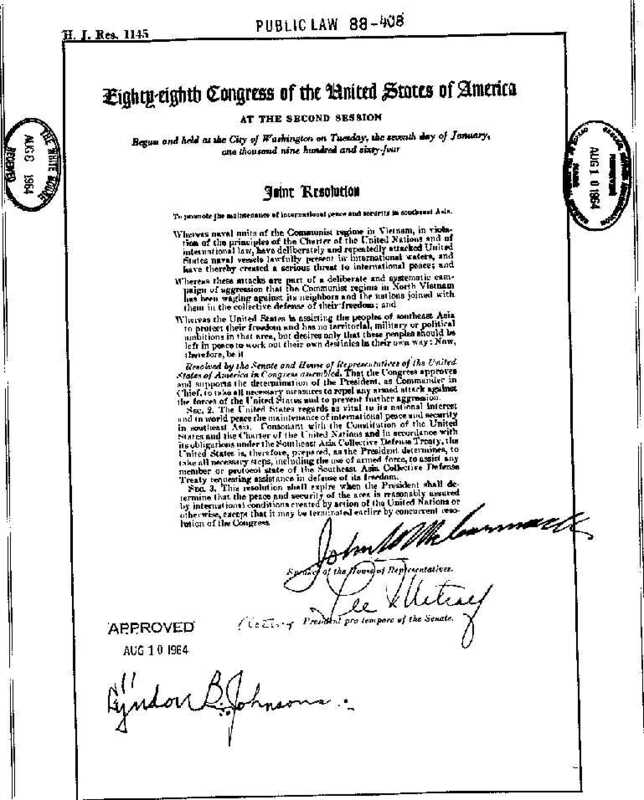 The Gulf of Tonkin Resolution had far reaching consequences, not only in Vietnam but for the executive branch since it allowed the president to send troops into combat without an official war declaration. President Johnson addressed the Congress and we have included a copy of his speech along with questions and answers. For more on this era please see our US History PowerPoints: Vietnam, Cold War Part I and II; and our World History Modern Era 1945-1970and 1970-2009. Although it is not translated, it allows students to see Hitler speak firsthand. If you are looking for more resources on WWII, check out our US and World History WWII PowerPoints. This gem of a film features Eleanor Roosevelt as the narrator who explains how the National Youth Administration was training young men and women to assist in the war effort. 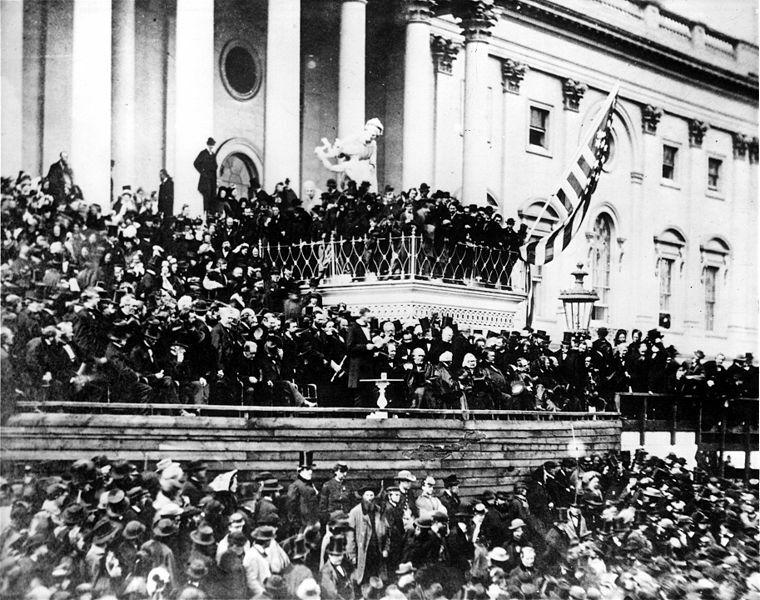 President Lincoln’s wartime second inaugural address is considered one of the most important speeches in US history. It speaks for itself! We have included a transcript of the speech as well as questions and answers for students. For more on this time period check out our PowerPoints: Causes of the Civil War, The Civil War, and Reconstruction.